A company that founded its roots over 40 years ago and that was born from the passion for the land and for the vineyard. 1974 is the year of the first year and the real beginning of the adventure of Rizzi Winery which, season after season, first with Ernesto Dellapiana and his wife Lia, then with the addition of their children Jole and Enrico, have given life to a family-run company that interprets the past with its gaze focused on the future, in a fusion among tradition and winning innovation. Passion and Love able to bring the name of Rizzi Winery and its wines ever higher up in the world. 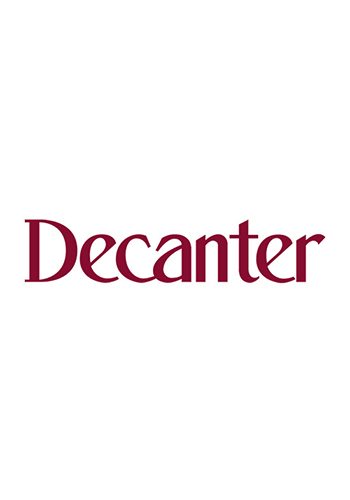 Decanter, one of the best wine magazines in the world, published in about 90 countries on a monthly basis, is published in its new May issue and dedicates the cover to "250 wines from head to toe". We are pleased to announce that our Rizzi winery MOSCATO D’ASTI DOCG 2018 has earned a good score and received this important recognition! RIZZI WINERY WILL TAKE PART IN "ESPRESSIONE: TUTTE LE SFUMATURE DEL BARBARESCO DOCG 2016"
It will start on Sunday 7 April 2019 and the Vinitaly 2019 of Verona will end on 10 April 2019, which reaches its 53th edition, confirming itself as the most important wine trade fair in Italy. Fernando Pardini, author for the magazine, writes an article entitled “Barbaresco 2016 e 2015. Il cielo volge al sereno, ma attenti agli eccessi di calore!" An Article on the Website Vinous by Ian D’Agata, Italy’s best wine writer and one of the world’s eight best international wine writers, talk about two of the wine of the Rizzi Winery: Moscato d’Asti 2017 and Moscato d’Asti Vendemmia Tardiva Frimaio 2017. Sparkle is the guide to the best dry sparkling wines of Italy, an annual publication published since 2003 and published on the sito cucinaevini.it. Wines are evaluated with a score in tenths, from 0.5 to 5. The second edition of the NEBBIOLO DAY, event organized by Walter Speller will take place on March 5th 2019 in London. The new guide "Falstaff", the biggest food and wine magazine in Austria, is published every year it publishes a wine guide in which the wines are classified on a scale up to 100 points. Vinibuoni d'Italia of the Italian Touring Club is the first sector guide to publicly announce the results of the selections every year. In the last tasting carried out by its editorial staff, the independent magazine on Merum wine awarded prizes to the best wines. Italy's Barbera used to be thought of as an everyday grape, but now Piedmont's winemakers are showcasing just how great its wines can be. An ideal tour of Italy of wine to tell us about labels obtained, in most cases, from the main native grapes that are worth a taste as excellence to be defended and tasted. COLLISIONI 2018: RIZZI VINERY IN THE "WINE PROJECT"
From 29 June to 2 July, held at Barolo, pearl of the Langhe and Roero, in Piedmont, Collisioni, the agrirock Festival of literature and music that in 2017 counted over 110 thousand people present. The Rizzi winery is one of the most solid and reliable production facilities in Barbaresco, the result of various Cru interpreted as a symbol of Piedmontese classical tradition. The vineyards of the Rizzi winery cover 44 hectares, half of which are in Nebbiolo for Barbaresco. In this article we talk about five labels of Barbaresco which are a bonus track of Barolo, protagonist of another article. This is the Article published on wining.it which speaks of the Barbaresco Rizzi reserve 2013 of the Rizzi di Treiso winery, in the Piedmontese lands of the province of Cuneo. The Barbaresco Rizzi Docg 2015 and the Cantina Rizzi di Treiso are the protagonists of the Article on "La Repubblica" of 26 April 2018, in the R Food section, written by Laura Di Cosimo, entitled "L'eleganza del Barbaresco"
The Rizzi company adheres to the "The Green Experience" Project, aimed at integrated productions, attentive to environmental sustainability and landscape care. The Rizzi Company is part of the Consortium of Protection, with the primary purpose of protecting and favoring the production and trade of wines of Langhe and Roero.